NERF Sent Us Super Soakers! The time has come! Spring Break was this past week (or the one before that) for most kids in my area. It's a time that signals warmer weather and Summer fun being just around the corner. For some of you, warmer weather may already be a constant, but around Colorado, the weather stays bi-polar. So, we'll hope for the best. 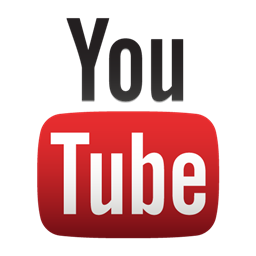 To gear up for Spring/Summer 2014, our friends at NERF sent us the package seen in this video so that we can bring you info on some of the best toys to get! Anyone up for a water fight, warriors? The other day, Perpetual Play posted an ad for what can be best described as water grenades. 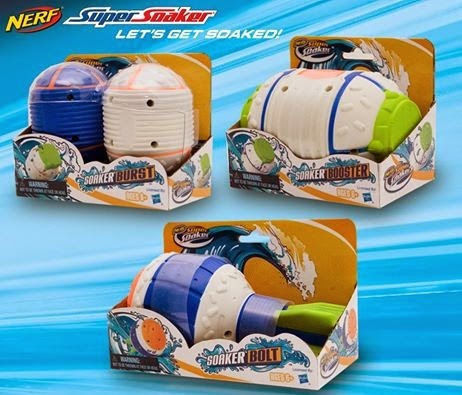 We've seen these Super Soaker products (or similar versions) pop up before at Toys R Us and places, but after I saw them on clearance last year, I was afraid they wouldn't return.I'm glad I was wrong! The Perpetual Play Group has been cranking out products under a NERF license for a while now. They had some great releases under Super Soaker in 2012 with the Battle Shield, Assault Bunker and the Rocket Dart. They seemed to take the 2013 season off from Super Soaker, but at least the grenade-like throwable got a color update and are back for this year. I've been waiting for something to come along that's better than the Lanard grenade. The grenade is a great concept, but execution wasn't always the best. The bottom is weighted so that the tip (which houses the firing trigger) would generally hit the ground first, but that doesn't always work. 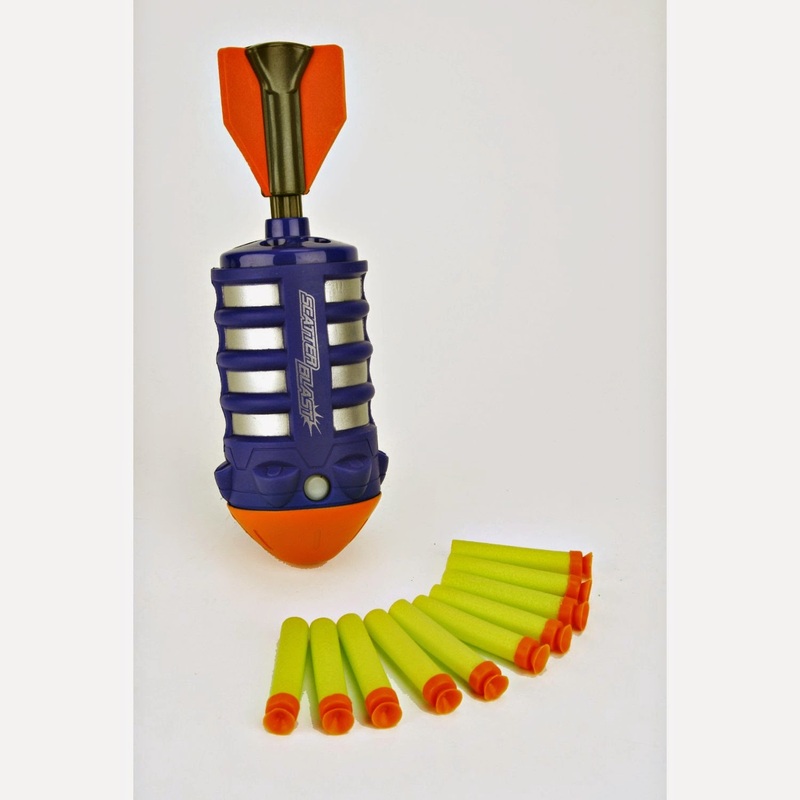 I wonder the guys at ThinkGeek and Nerf did to make the Nuke more effective?